As the recession bites harder in many parts of the country, a 36-year-old man, Abdullahi Garba, from Ihima area of Kogi State, has allegedly hacked his wife, Falilat Saka Garba, to death, over disagreement on house upkeep allowance of N4,000. Garba, who is being held for culpable homicide, however expressed regret over the incident that led to the death of his wife, disclosing that they were married for 15 years before the ugly incident. 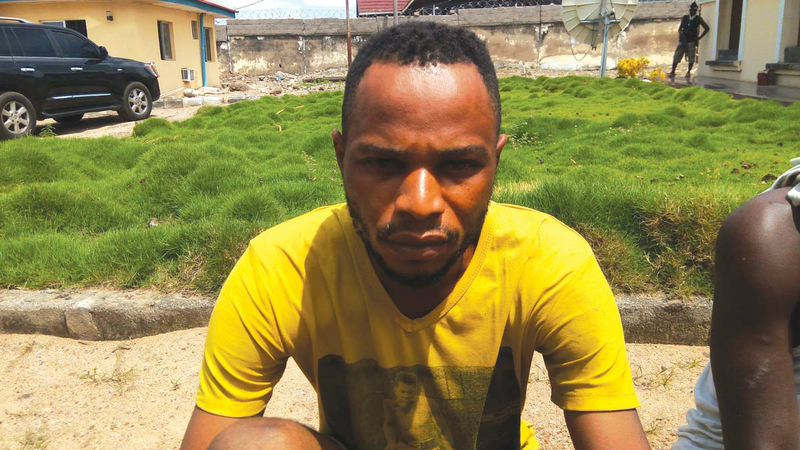 He said out of the N4,000 his wife requested, he was able to provide N2,000, which she turned down, adding that the ensuing argument over the shortfall made her to slap him. The remorseful Garba said he could not believe he had killed his own wife and mother of his six-year-old son. Parading Garba along with 13 suspected criminals for allegedly engaging in heinous crimes and other nefarious activities across the state, Deputy Commissioner of Police, Mr. Yahaya Abubakar, disclosed that the suspect, who admitted to have stabbed his wife, would be arraigned in court as soon as the result of the post-mortem examination is received. Among the vehicles recovered from the suspects include a green VW Golf Saloon car with registration number Lagos KSF 911 EH, one white VW Golf car with registration number Kogi AJK 375 AA and one dark blue Toyota Camry car with registration number Lagos SMK 620 DE.